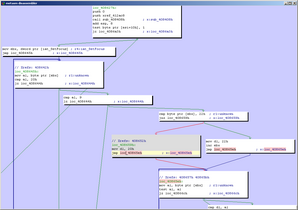 Metasm is a cross-architecture assembler, disassembler, compiler, linker and debugger. It has some advanced features such as live process manipulation, GCC/Microsoft Visual Studio-compatible preprocessor, automatic backtracking in the disassembler (similar to "slicing"), C headers shrinking, linux/windows/remote debugging API interface, a C compiler/decompiler, a gdb-server compatible debugger, and various advanced features. It is written in pure Ruby, with no dependency. This tool was mainly developed from 2006 to Sept. 2008 at France Telecom R&D. Starting from Oct. 2008, Yoann Guillot will continue development at Sogeti/ESEC. Metasm has been integrated into Metasploit, however the Metasploit trunk is not necessarily synced with the latest version. 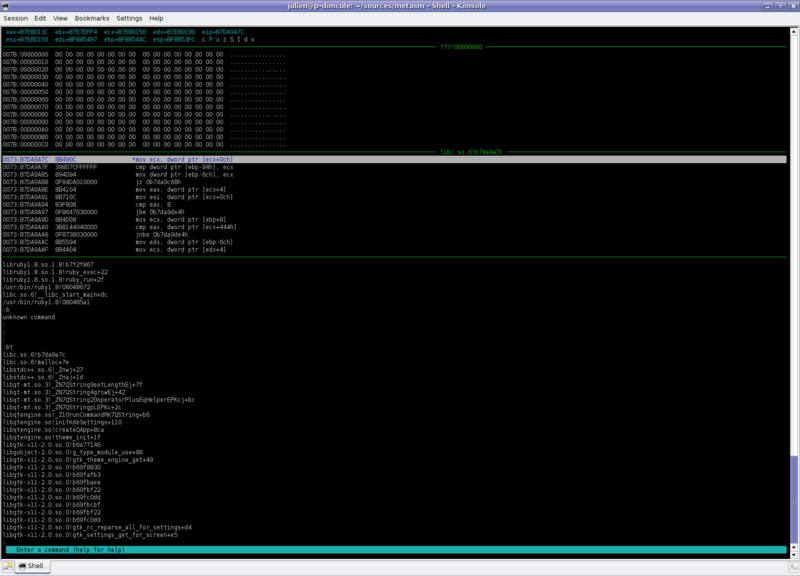 You can also get in touch in the #metasm channel on the Freenode IRC network. The README documents most stable features. 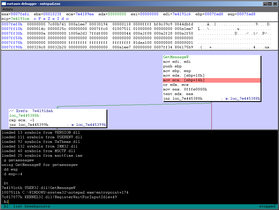 REcon 10: The slides (in English) for the tracer talk, where we speak about developping a code tracer over the debugging engine, then add support for MSR branch tracing, and finally debugging/tracing a broadcom NIC firmware. 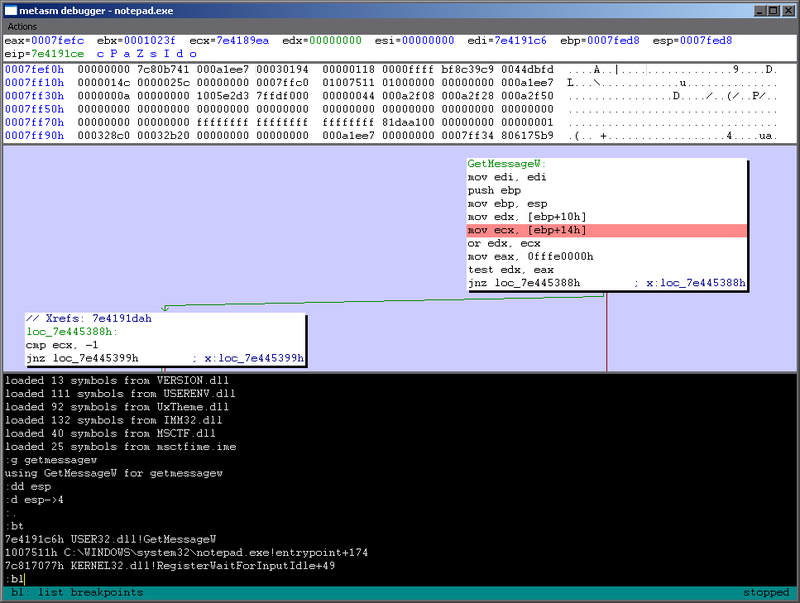 HITB 09: The slides (in English) for the binary deobfuscation talk, quite similar to the one for SSTIC09. SSTIC 09: An article about automatic binary deobfuscation with Metasm: article (in English), translated for the Journal of Computer Virology from the original article (in French). The french slides are there too. SSTIC 08: Semi automatic unpacking and decompiling with Metasm: article (in English), translated for the Journal of Computer Virology. In french, the original slides and article. It covers the T2'07 challenge and Fabrice Desclaux' poeut.exe (mirrored here). Scripts here and here -- those may need an old version of the framework to run. 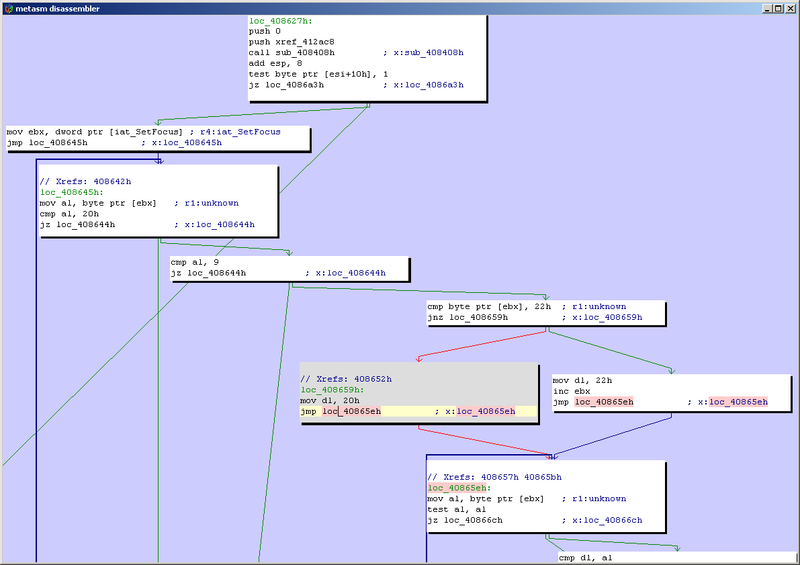 hack.lu: slides from October 2007 - covers an updated version with the C compiler and Rubstop (linux textmode debugger). SSTIC 07: article and slides from June 2007 - in French. This article covers a deprecated version but you may still find some relevant informations. The current developement snapshot is no longer available as a zip file. You can also download metasm v0.1 here (completely obsolete - kept only for archeological purposes).